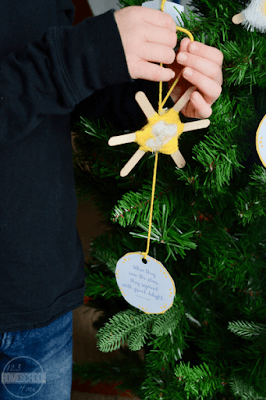 This ornament craft is perfect for accompanying many different Christmas lessons for kids of all all ages t home or Sunday school lessons. After they had heard the king, they went on their way, and the star they had seen when it rose went ahead of them until it stopped over the place where the child was. When they saw the star, they were overjoyed. After reading the passage and having a discussion about the Wise Men‘s journey, it’s time to do the craft! 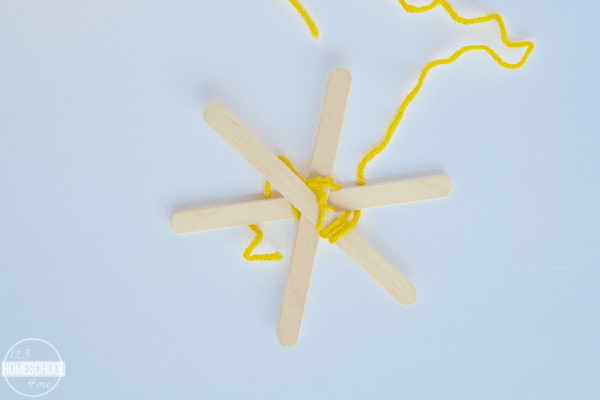 This simple star made out of yarn and craft sticks is great for ages 5 and up. 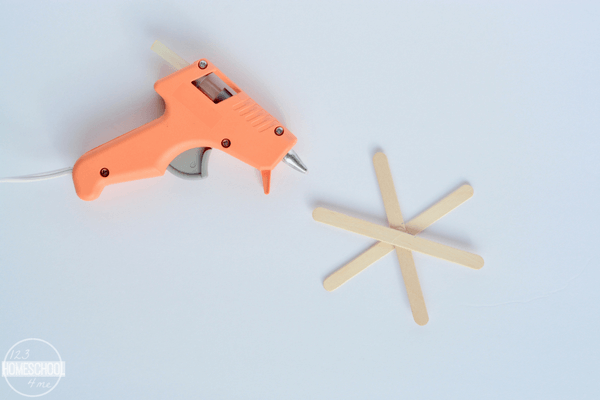 Start out by using your hot glue gun to glue three craft sticks into a star shape. I found it helpful to lay out the sticks how you’d like them to be and then use a pen to mark their position. Next, tie the yarn around the center of the craft sticks. 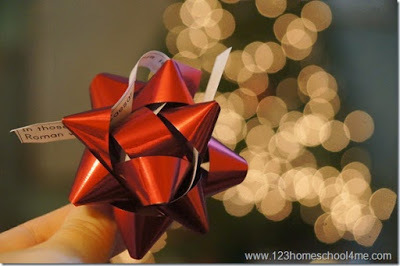 You don’t have to do this and can just begin wrapping, but I found it easier to tie it off first, especially for my littlest helpers. Now it is time to begin wrapping your yarn! 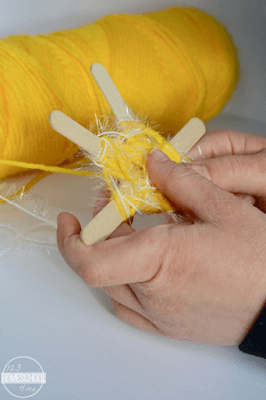 Wrap the yarn twice around a craft stick, then skip the following stick (going under it), then wrap two times again, skip the next, and so on. As you keep wrapping it will start to look like this! Once you’ve wrapped for a while, you can change the look by switching which sticks you are wrapping and which ones you are skipping. 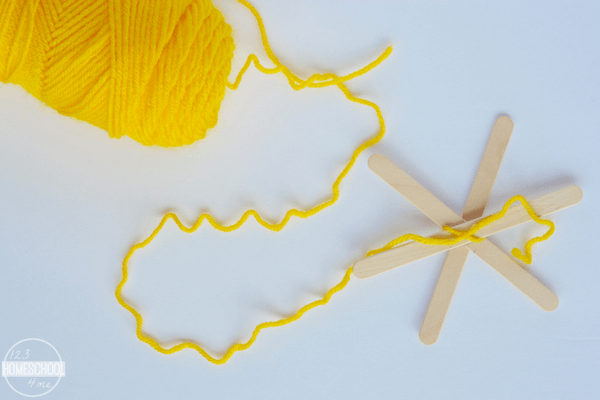 You can switch to a different color yarn by cutting your current piece of yarn and tying the new one onto it. You can also add in another color and do multiple colors at the same time. This is the fun part! Each person making their star can create it in their own unique way! And the best part is, even if you get mixed up or your wrapping gets thrown off, the star will still look great! This makes it a great craft for all different ages and abilities. 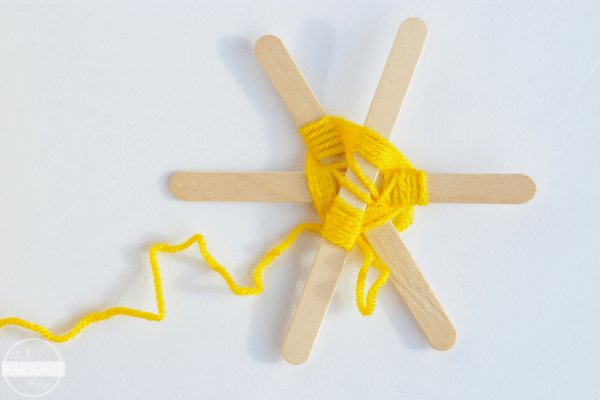 Once you’ve finished wrapping tie off your yarn, leaving some length to use to tie into a loop to use for hanging. 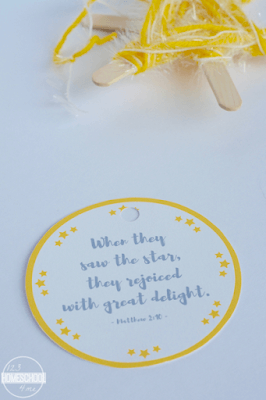 At this point, you can be finished with your stars, or you can add on these fun tags with Matthew 2:8 on them! Cut out your tags and punch a hole in them. 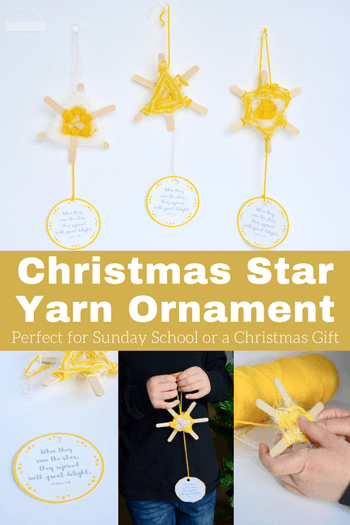 Then, use yarn to tie them to the bottom of the ornaments. So many different and pretty designs! Such a fun craft to do with a group! 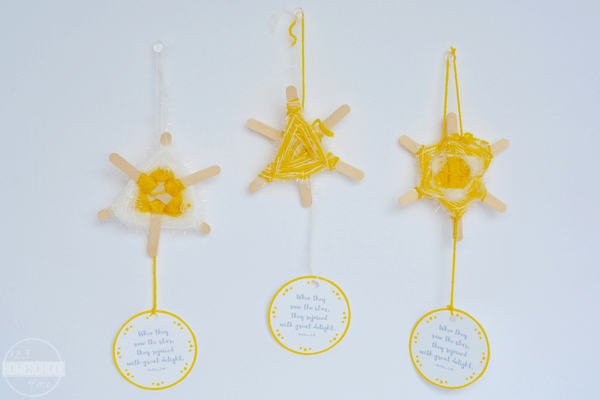 They are perfect for hanging on the tree and make great Christmas decorations for around the house. Excellent to give as a gift as well!